Sometimes bad things happen in the dark. This is where criminals find sanctuary to hopefully commit their crime and flee the scene before help can arrive. This means that we as Defenders need to understand the dark and have strategies to either use it to our advantage, or take away the advantage of the darkness for our Threat. Last week we went through the five light levels and talked about some of the different actions Defenders need to take to utilize those low light levels effectively. Tools like flashlights, the night sights on your handgun, and movement techniques, can all give you an advantage in dealing with a threat in low light conditions. This week, we're going to dive a bit deeper into low light, and we're going to understand the physiology of the eye, how you acquire low light vision, and how you can destroy it. 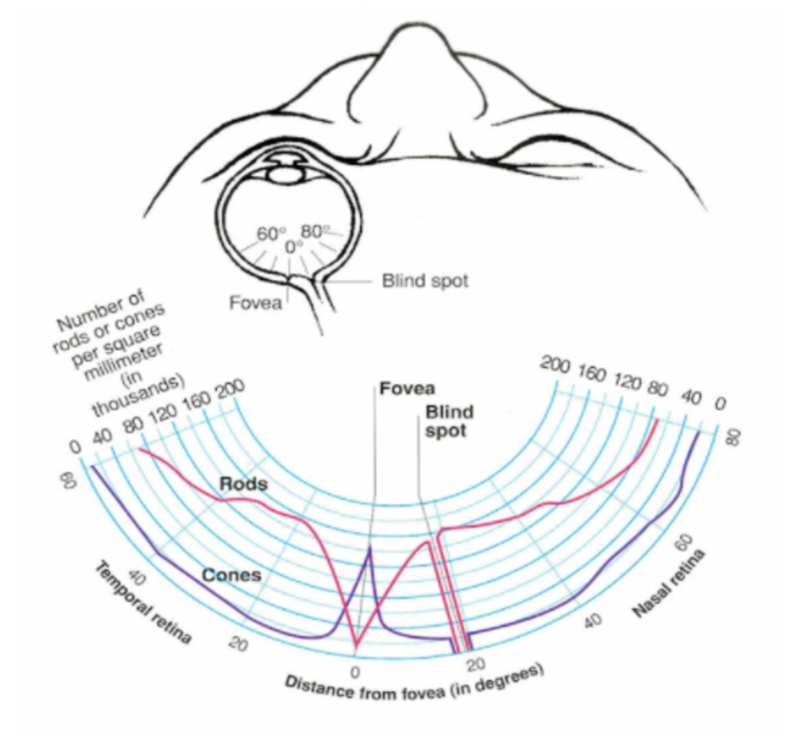 In your eye there are two basic structures, Rods and Cones. The Cones are designed to see color and sharp detail. The Rods are designed for the perception of movement. Cones don't work well in low light conditions, but the Rods do. Keep this in mind. When your eye goes into a low light condition there are physical and chemical changes that happen. First, the pupil will dilate. These tiny muscles that restrict the flow of light into your eye during bright conditions, now relax and allow in as much light as possible, to give your Rods and Cones the best chance to capture the light they need to send useful information to your brain. The second change that will happen with the eyes is chemical, they will develop a chemical called Visual Purple. This chemical activates your Rod's ability to function in decreased light. Visual Purple doesn't develop immediately, it takes time, roughly 5-7 minutes for your initial amount and up to 30-40 minutes for a complete dosage. This development process takes longer with age. Conversely, it takes only seconds to remove your Visual Purple once it is exposed to bright light. Remember the last time you went to turn on a light in the middle of the night after being in the dark for a while? Like getting slapped in the face, isn't it? What's happening is that the eye is set up for low light, not bright light. If you are suddenly flooded with light, the pupil must contract and the Visual Purple must be removed, transformed into Vitamin K and absorbed into the body. So what does this all mean? If you need night vision, it takes time to build. Once you have night vision, protect it! And, if your threat already has night vision, take it away with bright light. Next week, I'll take you into utilizing light and darkness, to gain a tactical advantage over a threat. We'll talk about the Pirate Technique, a Diamond Scan, and how to position yourself in relation to light and shadow to have the best vision possible.